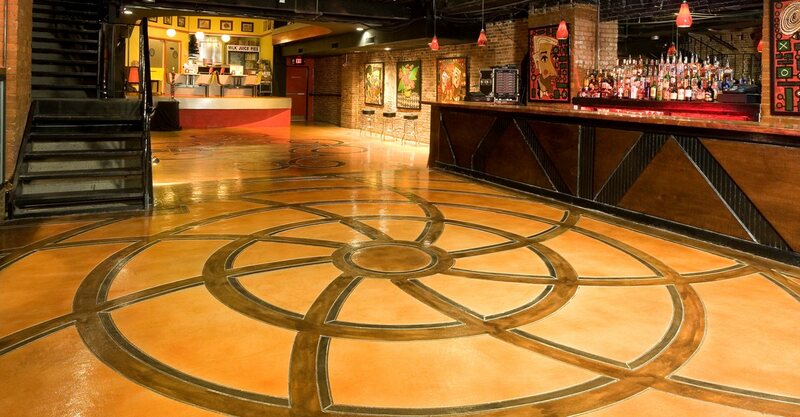 For many admirers of decorative concrete, the best attribute is that each installation is totally unique. Concrete can assume nearly any shape, design, pattern or texture. But the one characteristic that most distinguishes decorative concrete is color (often referred to as colour concrete in Australia and Canada), whether used subtly to blend with nature or boldly to make a dramatic design statement. Frankly, unless you're a purist and prefer concrete in its plain-gray state, there's no reason not to enhance it with color. The number of different products for coloring concrete has never been greater, and many manufacturers offer an extensive palette of shades to choose from for colored concrete . And although you'll pay more for colored concrete, the amazing transformation will be well worth the investment. In the hands of a creative contractor, these coloring mediums permit an endless array of decorative effects, from rustic earth-toned sidewalks and patios that harmonize with the surrounding landscape to vibrant multicolored floors that double as works of art. To help you sort through your options, here's a roundup of the most common methods for coloring concrete and the applications they are best suited for. 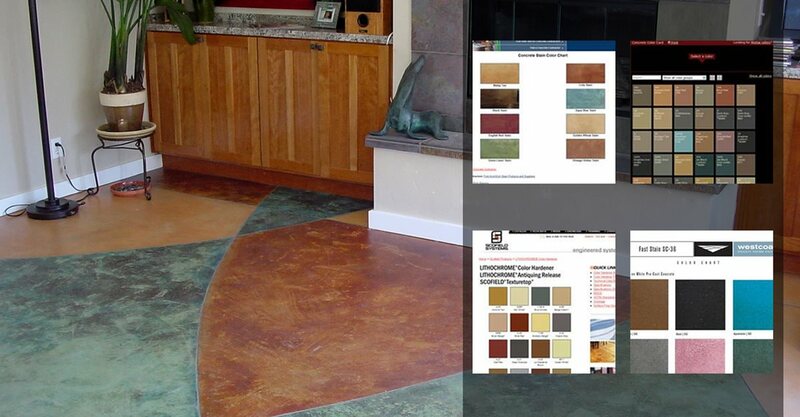 With the exception of integral color, all of these products can be used on new or existing concrete. However, not all coloring methods are suitable for all exposure conditions or types of projects, and some have limitations in terms of color availability and intensity. But when you choose appropriately (see "Tips for Getting the Best Results with Color"), you'll end up with rich, permanent color that will take your concrete from utilitarian to spectacular. Why Colored Concrete Find out why many property owners are opting for colored concrete both indoors and out. Colored Concrete Maintenance Get advice on how to keep colored concrete looking its best for many years to come. Which Color is Right For Your Home? See how colored concrete can enhance nearly any style of home, from coastal to colonial. Concrete Style Guides Download these design sheets for concrete paving ideas in modern, old-world, or traditional design schemes. 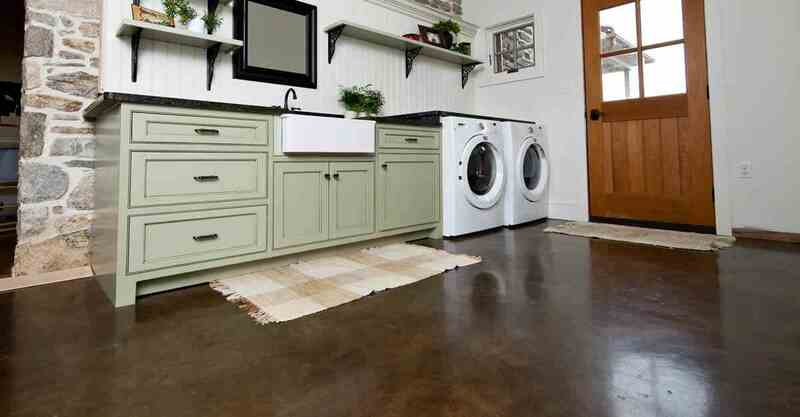 Popular Floor Colors See which colors are most popular for concrete floors in homes and businesses. 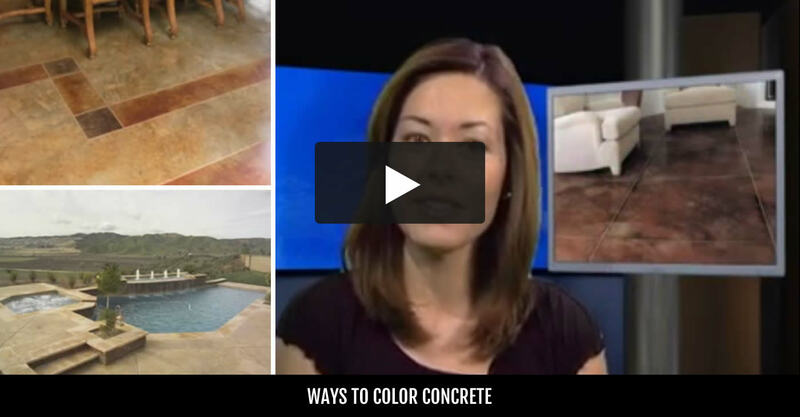 Decorative Concrete Videos Watch an assortment of videos showing how stains, dyes, integral colors and color hardeners work.